Amplify the Anthems came to Impression with the vision to build a revolutionary new platform allowing unsigned artists and musicians to be heard. By providing a complete package of services to get heard and potentially signed to a record label, they can also make money by selling their music and tickets to their gigs. We helped Amplify build the brand strategy, define its positioning within the marketplace and their proposition for attracting artists and fans of new music. For such a trend setting brand they needed an identity that rocked their values and that in time can become recognisable to the brand. 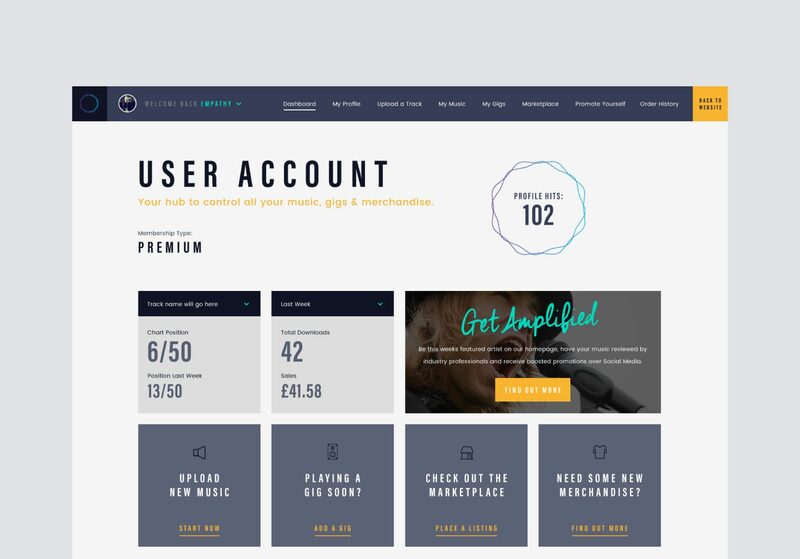 We have also worked closely with Amplify to design and develop their new website which is built around user behaviour and needs, with this due to go live later this year it’s going to be a hit with new music lovers up and down the UK. 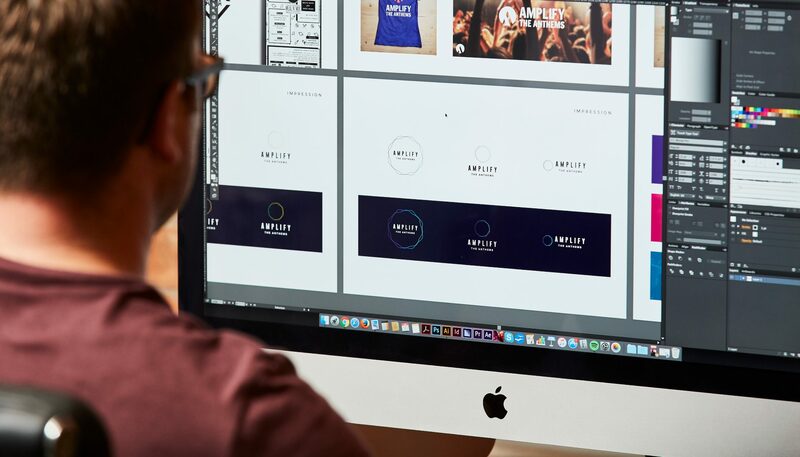 Developing the new identity was a key time to focus on what best represents the brand and the new positioning. The mark was born from developing a circle into an energetic, fluid and evolving shape, that could be translated into motion with ease. Our solution is fresh, elegant and gives loads of flexibility moving forward on other marketing collateral. We set out to design a new online platform that was not only a pleasure to use but that would become part of your life. 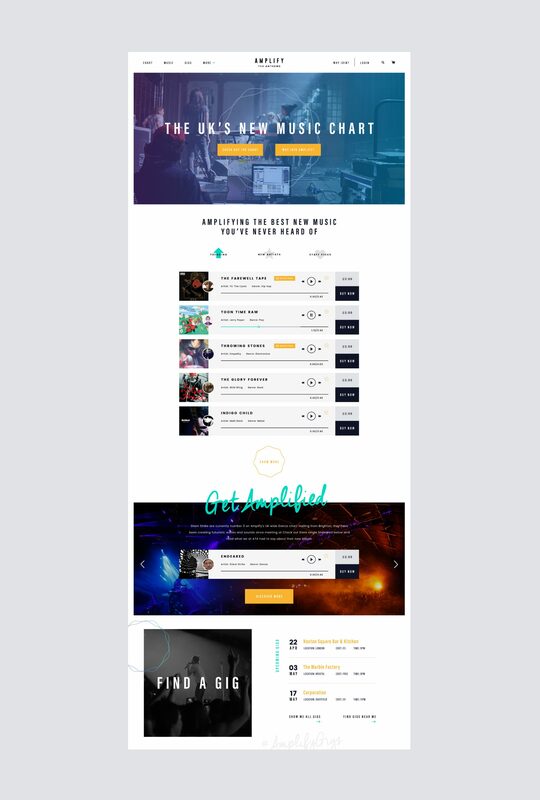 With the brand offering so many services for artists, it was really important to have a dedicated area focussed for artists to easily see how their music is performing and what possibilities there could be to promote their tracks further. We designed a full on-brand dashboard that sits away from the front-end of the website making the user feel in full control of their tracks and albums.